A Bristol-based inventor has created a device that can be attached to a beer tap to control frothing and reduce an estimated nine million pints of beer wasted in the UK each year. The nozzle, known as AleTrim, was devised by Oliver Browne-Wilkinson, founder and owner of StapleBarn. Browne-Wilkinson was inspired to create the gadget when waiting for a beer and noticing the volume of waste liquid collected in the drip tray. “That totals around nine million pints a year in the UK alone. When you think about it, all that beer has been brewed, stored and shipped – and the landlord has bought it – just to be fobbed away. It’s commercial madness. I realised that a simple solution would benefit everyone”. On AleTrim’s website, pub and bar owners can see the amount of additional profit they would generate by employing the device, using an interactive calculator. 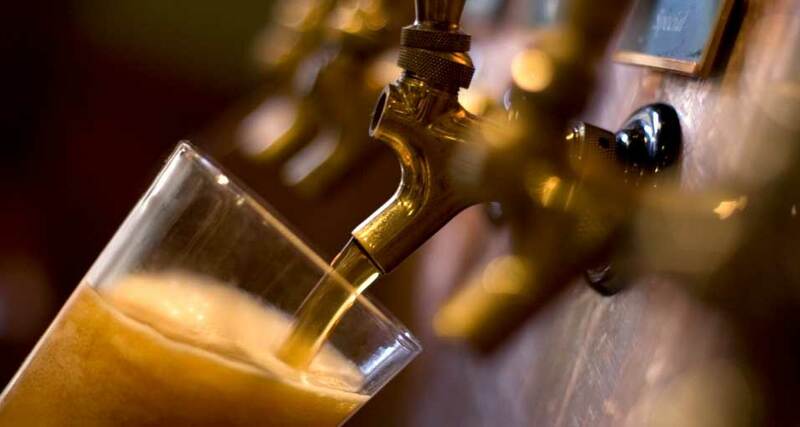 By inputting the average price of a pint, the number of beer taps on the bar and the number of drip trays poured away each day, businesses can view their additional profit per annum. As an example, the website states that with an AleTrim fitted, “you should retain at least 80% of the pouring waste, which is an extra monthly income of £150 (if serving 300 pints per week at 3% wastage). That translates to £1,800 per year”. “AleTrim creates micro-bubbles, which take longer to merge with each other before bursting. This maintains a stable head and preserves the original freshness of the beer, which in turn compliments the body and linger”. In addition, using the principles of ‘Laminar flow,’ liquid travelling through AleTrim enters the glass in a smooth (laminar or non-turbulent) state. As a result, the beer froths less and there is less waste. The website also states that the device is capable of dispensing the “perfect pint in less than five seconds when keg pressures are set at 2 bar or 29 psi”. After trialling the device in bars in London and Bristol, AleTrim is patented and both the keg and cask beer versions are available to rent from £40 per month ex VAT. A full report by Campden BRI is also available, with the flavour profiles of both cask and keg beer assessed when dispensed from the device.